UPDATE: Hank will be released to his family on Tuesday. Read the story here. When the police came for him, Hank went quietly. Because that's the kind of dog he is - a laid-back sleepaholic who enjoys a good game of tug-of-war on occasion. He is, as his owner notes, every inch a family dog. But to the eight cops and four animal control officers who showed up on his family's doorstep, Hank was another kind of dog. A pit bull. It didn't matter that Hank may actually be a cross between a Staffordshire bull terrier and a Labrador. Or that his family had raised him since he was a puppy. 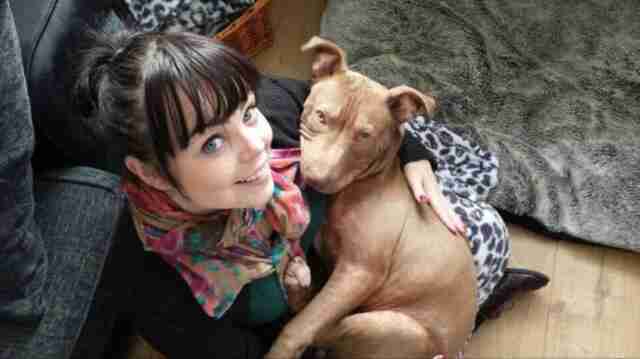 What mattered was that it's illegal in Northern Ireland to own a dog who even resembles a pit bull. His owners, Leonard Collins and Joanne Meadows, were out at the time, so police left a note on the door. 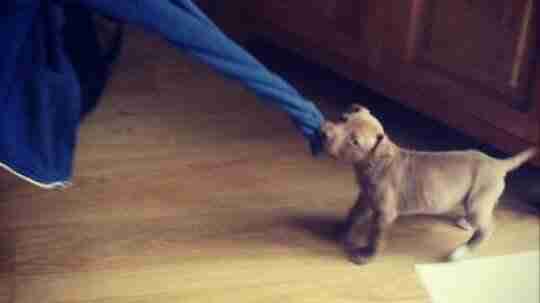 Hank was seized under Dogs (Northern Ireland) Order 1983 and taken to an undisclosed location. And there would be no visitations. 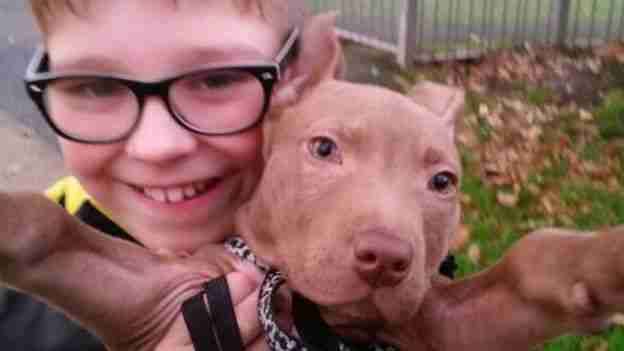 "I can't fathom why anyone would report him," Collins told BBC News. "He lazes about for 90 percent of the day and wants to play the other 10 percent." The family has since lobbied authorities to release their dog. They're hoping to win their 2-year-old "baby" back in court. Hank has a skin condition and, without special care, they fear it will flare up again. 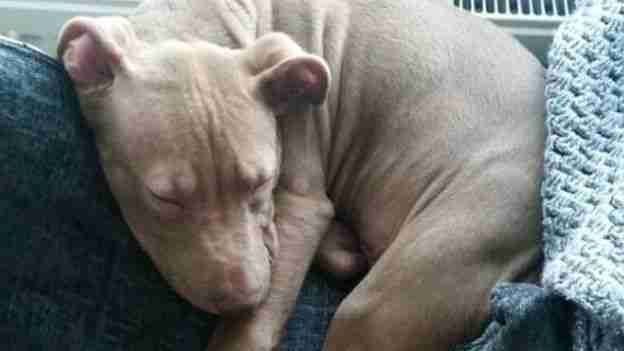 Even more alarming, under Northern Ireland law, Hank could be put down. Without ever seeing his family again. To protect the public? Time and time again, breed-specific legislation has proven to have no impact on actual dog attacks. But it has proven effective at targeting and killing certain dogs. And breaking the hearts of families. 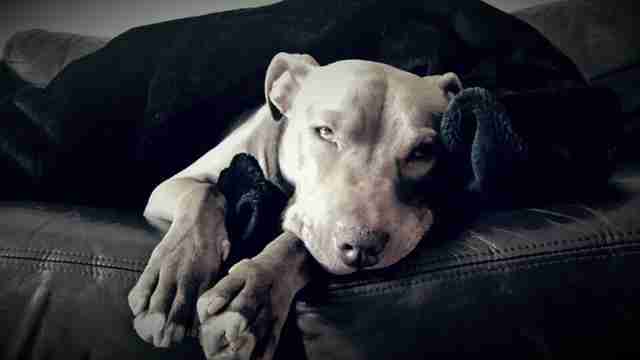 Join this family's fight to save their dog here and here.